We intend to work at different projects – big and small – following one simple editorial policy: doing things we like and for which we hold ourselves responsible. We want to produce films/documentaries conceived according to the principle of participation and sharing, in order to give young talents the opportunity of working with artists of proven experience and single out producers who are willing to join us in the realization and diffusion of original time-resistant films. Marechiarofilm reflects the vision of its charter member Antonietta De Lillo, who has always referred to a transversal independent cinema, poised in delicate equilibrium between reality and imagination, between feature film and documentary genres.We intend to use the potentiality of the Web to propose areas, such FUORI DAL POLLAIO (Outside the Hen House), where to meet and recount our stories: our Country observed from multiple perspectives that are united in a single tale. Starting from the distribution of the film THE REMAINS OF NOTHING, marechiarofilm wants to develop a “vintage” line devoted to the re-circulation of feature films, documentaries, shorts that have been forgotten and are languishing somewhere in a drawer. Alongside its specific cinematographic projects, the Marechiaro website also offers diversified activities such as Exhibits&Events, a space for virtual events, Marechiarocasa, our mini-apartments expressly designed for people who work in the entertainment sector and which can be used as guest flats, our Blog with images, news, films recommended by Marechiaro to cinema lovers and to those who want to express themselves in the field of image creation. Director, photographer, freelance journalist, Antonietta De Lillo was born in Naples. She is presently living and working in Rome, where she is busy with her new production company marechiarofilm and is ideally pursuing the experience which has matured over twenty-five years of activity. Antonietta De Lillo was born in Naples, 6th March 1960. She receives her degree in cinema at the D.A.M.S. (acronym for Drama, Arte, Musica e Spettacolo) faculty, University of Bologna. She works as a freelance journalist and photographer for important newspapers and magazines. She moves to Rome where she works as assistant cameraman in various television and film productions. In 1985 she directs her first feature-length film, Una casa in bilico (Tottering Lives), which wins the Nastro d’Argento prize for the best first opus; in 1990 she shoots her second film, Matilda. Both films are realized in collaboration with Giorgio Magliulo. From 1992 to 1999 she is the author of numerous documentary films and video-portraits, among which the following are selected and awarded prizes in diverse International festivals: Angelo Novi Movie Stills Photographer, Dr. Lucio Fulci’s Day-For-Night, Each Chair Has its own Sound – Portrait of Alda Merini, The Betrothed (Promessi sposi). She directs Racconti di Vittoria (Vittoria’s Tales) (awarded the Fedic and Union of Cinema Critics Prize at the 52nd International Venice Film Festival) in 1995, the Maruzzella episode from the collective film I Vesuviani in 1997 and Non è giusto (Not Fair), presented at the 54th Film Festival of Locarno in 2001. The latest feature film she directs is The Remains of Nothing, a special event at the 2004 Venice Film Festival. The film receives numerous acknowledgements and prizes, inter alia three David of Donatello awards and five nominations for the Nastri d’Argento. 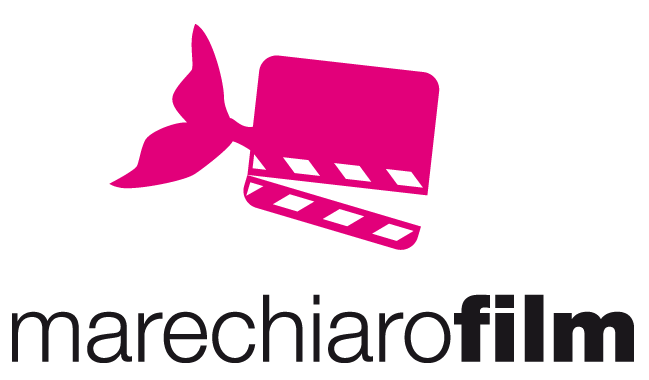 Her new production and distribution company marechiarofilm ideally carries on with the experience she developed, first with Angio Film srl (together with Giorgio Magliulo) and later with Megaris srl (together with Magliulo, Giogiò Franchini and Paola Capodanno). With marechiarofilm she realizes in 2011 the first participated film in Italy The Social Christmas , presented at the Rome International Film Festival. In 2013 she directes the documentary film The crazy woman next door, a conversation with the poet Alda Merini presented at the 31st Turin Film Festival, and in 2014 the documentay film Let’s go presented at the 32nd Turin Film Festival. In 2016 she is awarded with a special prize by the Nastri d’Argento Committee for the participated film Today Together, Tomorrow Too, presented at the 33rd Turin Film Festival. In 2013 she realizes The crazy woman next door a conversation with the poet Alda Merini produced by marechiarofilm in collaboration with Rai Cinema and presented at the 31st Turin Film Festival. In 2011 she realizes with marechiarofilm the participated film The Social Christmas as the curator and creator of the project, experimenting with the value of a new production platform, capable of mixing different languages, gathering in the same film product both home movies and professional short films. The film has been presented Out of Competition at the International Rome Film Festival 2011. In 2008 she writes and directs a short film Art. 20 which is part of the collective film All Human Rights for All (30 short films, one for each of the 30 articles of the Universal Declaration of Human Rights). In 2004 she directs the feature film based on Enzo Striano’s novel of the same name, Il Resto di Niente (The Remains of Nothing): presented at the 2004 International Venice Film Festival – a special event in the competition section..
5 nominations (best screenplay, best music, best photography, best costumes and best art direction). In 2002 De Lillo creates the video-portrait of Tonino Guerra Pianeta Tonino, within the ambit of the Ritratti Italiani (Italian Portraits) series directed by Lino Micciché and produced by the Scuola Nazionale di Cinematografia (National School of Cinematography). • On the province of Rome: Il pendolarismo (Commuters), Il litorale romano (The Roman Shore), L’area industriale di Cassino (The Cassino Industrial Zone). In 2000 she realizes the documentary film Il faro (The Lighthouse) for Tele+ and Legambiente. The film is produced by Francesco Conversano and Nene Grignaffini for Movie Movie Videocinematografica. In 1999 she realizes the documentary ’O solemio and the short film ’O Cinema for RAISAT and ARTE’ which are presented at the Turin Film Festival. In 1997 she directs the video-portrait Hispaniola, ritratto di Claudio Bonifacio (Hispaniola, a portrait of Claudio Bonifacio); in the same year she realizes the Maruzzella episode – part of the collective film I Vesuviani, competing in the 1997 Venice Film Festival, as well as the documentary film Saharawi, voci distanti dal mare (Saharawi, Distant Voices from Over the Sea) in collaboration with Jacopo Quadri and Patrizio Esposito. In the same year she realizes Diari del ‘900 (Twentieth Century Diaries), a film-collage on the labor movement for the Labor Movement Archive (Arcivio del Movimento Operaio). In 1996 she realizes Viento ‘e Terra (Earth Wind), a portrait of the musical group ’E Zezi from Pomigliano d’Arco, competing in the Locarno Film Festival, and a portrait of Peter Del Monte, for the series Ritratti d’autore (Portraits of Authors). In 1995 she realizes Ogni sedia ha il suo rumore. Ritratto di Alda Merini (Each Chair has its own Sound. A Portrait of Alda Merini), presented at the Locarno Film Festival and the feature film Racconti di Vittoria (Vittoria’s Tales), presented at the Finestra sulle immagini (Windows on the Images) of the 52nd Venice Film Festival, where she receives the Fedic Prize as well as the Segnalazione del Sindacato Critici Cinematografici Italiani (Honorable Mention by the Union of Italian Film Critics). In 1994 she realizes the video portrait La notte americana del Dr. Lucio Fulci. (Dr Lucio Fulci’s Day-For-Night). In 1993 she directs Promessi Sposi (The Betrothed), prize winner at the 11th Turin International Film Festival, Spazio Italia section. In 1992 she realizes Angelo Novi Fotografo di scena (Angelo Novi, Movie Stills Photographer), which is awarded a Prize in the documentary film section of the Salerno International Film Festival. • David di Donatello, nomination for best first work.